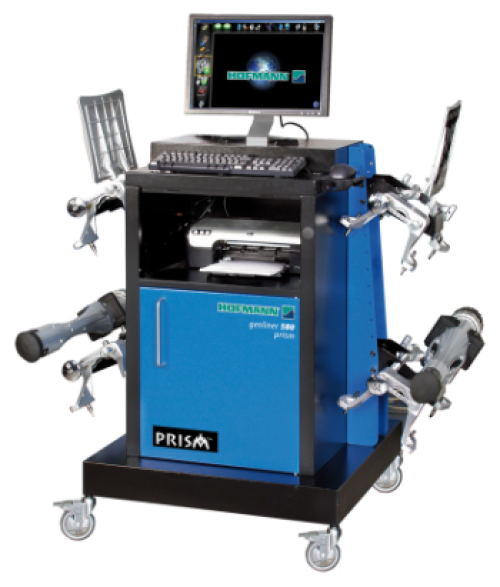 The geoliner® 580 prism uses the special PRISM technology which combines the advantages of CCD technology with those of the 3D alignment technology. This technology makes wheel alignment accurate, flexible and easy to service. The intuitive user-friendly Pro 42 software provides step-by-step instructions as a guide for completing even the most complex tasks. Set of 2 targets and 2 PODs with magnesium wheel clamps 11"-22"